Detection can be the difference between getting cured or succumbing to disease in many cases. As health records and diagnostics all go digital, a wealth of data is being created and recorded that can be used to prevent disease. Prognos sits at the center of this growing market and application. Leveraging AI and a number of sophisticated algorithms, the Prognos platform analyzes clinical lab results to drive decisions early. While we often read about AI being used to some trivial application, this startup has the potential to literally change the world with its ground breaking technology. 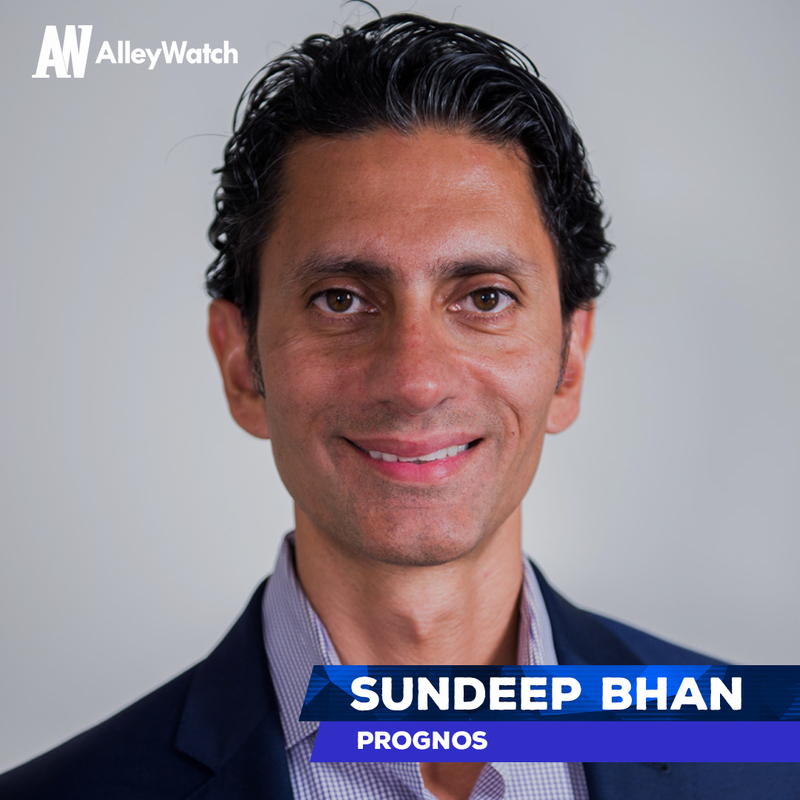 AlleyWatch sat down with CEO and cofounder, Sundeep Bhan to learn more about the startup, its origin, future plans, and most recent round of funding. This was a Series C round, which raised $20.5 million. Our existing investors are Merck Global Health Innovation Fund (GHI), and Safeguard Scientifics who also invested in Prognos during this round. The new investors are Cigna, GIS Strategic Ventures (the venture capital arm of the Guardian Life Insurance Company), Hermed, Hikma Ventures and Maywic. Tell us about your Prognos. Prognos has built the largest lab connectivity network in the U.S., processed and analyzed over 13 billion lab records for more than 180 million patients, and developed 1,000+ proprietary machine learning-enabled algorithms across 50 conditions, such as diabetes, asthma, and non-small cell lung cancer, for the lab data management and analysis. What inspired you to start Prognos? The understanding that anyone is vulnerable to the disease and, in many cases, if a disease is diagnosed and treated earlier, that may impact outcomes, particularly in oncology patients. Prognos concentrates on clinical lab results, which drive about 70% of medical decisions and are available in real time. Clinical lab data indicates – as soon as the lab test results are ready – how a patient is doing, if he or she needs a specific therapy or is ready for a change in therapy. Prognos originated as a concept of eradicating disease, and we started with answering the questions about improving health by tracking and predicting disease at the earliest using AI and lab data. While other analytics vendors claim they use lab data, they typically use data from chart pulls, which is also limited in that EHRs only contain on average 40% lab data. Prognos is the only company in the U.S. that has built the direct lab connectivity network on such a scale. According to Frost & Sullivan recent market analysis on Healthcare Artificial Intelligence Solutions Market, the addressable healthcare analytics market size for Prognos’s products has the potential to reach $6.7 billion by 2021 (growing at a staggering 40% CAGR). We license our products to Life Science companies and payers. Can you tell us more about how AI is changing healthcare? We are moving towards accurate forward-looking and real-time insights. 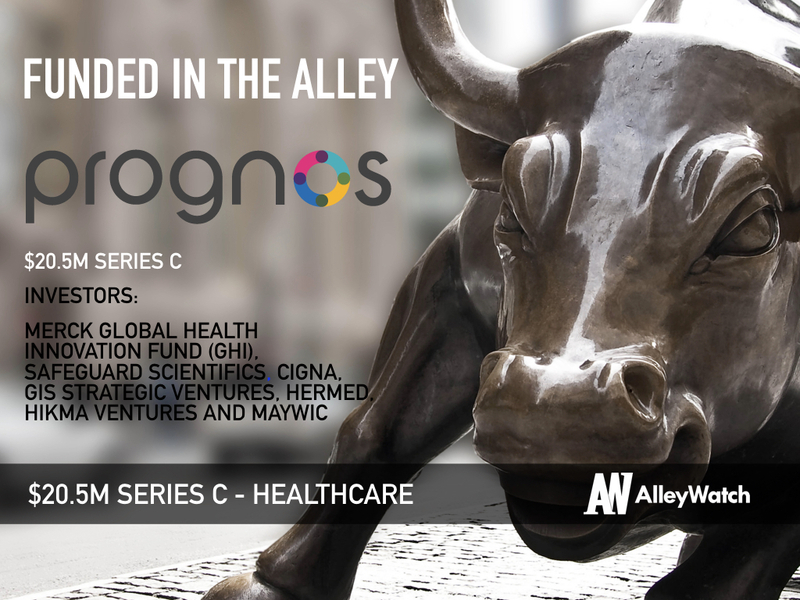 The way Prognos uses AI with lab data, often integrated with prescription and claims data, is to predict the diagnosis before it is made and identify therapy that will address the condition best based on the patient’s clinical profile. We are capable of saying, this patient has, for example, a 40% probability to develop a certain condition within the next 90 days. What factors about Prognos led your investors to write the check? The most significant factors are the total addressable healthcare market that we serve and the proven business model. Prognos will continue to focus on enabling earlier identification of patients who can benefit from enhanced treatment decision-making to drive better outcomes. These new investments will enhance Prognos product offerings to help Life Science companies across the entire commercial lifecycle and our payer clients. Enter a large market and be able to articulate your business model. 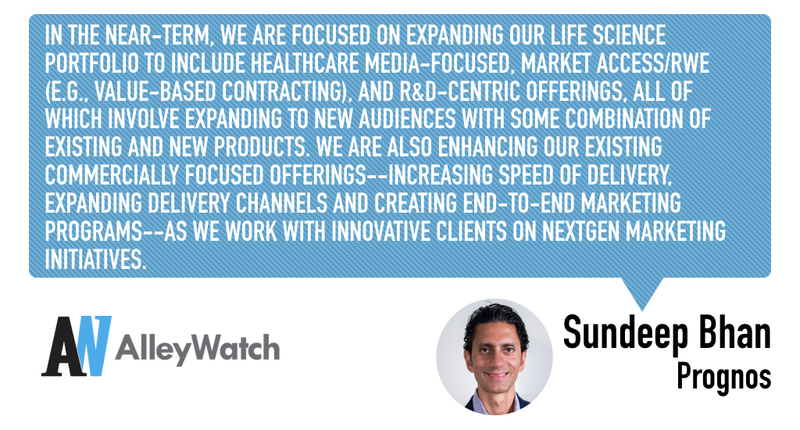 In the near-term, we are focused on expanding our Life Science portfolio to include healthcare media-focused, market access/RWE (e.g., value-based contracting), and R&D-centric offerings, all of which involve expanding to new audiences with some combination of existing and new products. We are also enhancing our existing commercially focused offerings–increasing speed of delivery, expanding delivery channels and creating end-to-end marketing programs–as we work with innovative clients on NextGen marketing initiatives. To better serve our diagnostic laboratory partners and clients, we are investing in market measurement services and also evaluating clinical trial services. Our payer portfolio is expanding beyond risk/care management products as we invest in underwriting capabilities. Where is your favorite bar in the city for an after work drink? Our offices are at WeWork, where we can chat over a beer at the end of the day. AlleyWatch :AlleyWatch is the destination for startup news; opinions and reviews; investment and product information; events reported, experienced, seen, heard and overheard here in New York. But it’s who we are that makes us different: we’re the writers and the entrepreneurs; the investors and the mentors; the lawyers and the marketers; the realtors and the recruiters – the people who work in the industry.